Merkelized Abstract Syntax Trees, also known as MASTs, are a Bitcoin Improvement Proposal that was put forth by Russell O’Connor, Dr. Peter Wuille, Peter Todd, and Dr. Johnson Lau. MASTs are a Bitcoin protocol design change which would allow for higher levels of smart contract flexibility, better scalability, and increased privacy for the Bitcoin blockchain. Essentially, MASTs are a proposal for how to make Bitcoin better then it currently is. Many people would argue that MASTs are needed because the rapid adoption of Bitcoin around the world has is clogging up the Bitcoin blockchain and slowing it down. MASTs could potentially speed things up. Also, MASTs could add a new level of privacy to Bitcoin when it comes to smart contracts. This is because with MASTs, only smart contracts that have been completed are revealed on the blockchain. This is opposed to every smart contract that has been created without MASTs. This saves a gigantic amount of space on the blockchain and helps the Bitcoin protocol to be significantly more efficient that it is otherwise. Considering the fact that more and more smart contracts will likely be created on the Bitcoin blockchain, this is a very important difference. MASTs also allow larger and more complicated smart contracts to be easily handled on the blockchain. This include smart contracts that have many different signatures. This would be another important improvement for the Bitcoin protocol, and help it to scale better as more and more people begin to create smart contracts on the Bitcoin blockchain. 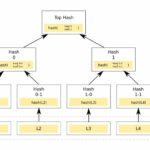 MASTs combine pay to script hashing (P2SH) with Merkle Trees for a data storage and hashing method that is more advanced and stronger than either method on its own. With a MAST, it is possible for nodes to interact with Merkle Trees. They do this by reading both the Merkle Root, and the top of the Merkle Tree. The purpose of these interactions is for the node to be able to tell if the data that is being requested is actually a part of the Merkle Tree. In this way, transactions can be verified using validation derived from the Merkle Tree. Also, because of the structure of Merkle Trees, only a small amount of information from the Merkle Tree is required to either verify or cancel the transaction. This increases privacy. The reason why this is possible is because Merkle Trees use mathematics where hashes can be added together to determine if the result equals the Merkle Root. If it does, then the transaction is legitimate, if it doesn’t, then it is not. MASTs take advantage of this technology, and combine it with P2SH to create an advanced structure for the Bitcoin protocol. How Could MASTs Help BTC and LTC? In the modern cryptocurrency environment, many cryptocurrencies are competing for dominance. Bitcoin is currently the most dominant. Litecoin is also one of the most dominant cryptocurrencies. However, in order for these cryptos to stay on top, it is necessary that they remain swift and agile, and that their blockchains do not get too bogged down and become too inefficient. Bitcoin has already earned a reputation for being somewhat slow, and for having some scaling problems. Litecoin, fortunately, is well known for being swift and fast. However, more and more people are buying Litecoin, so it is important for it to make sure that it can scale properly to prevent losing ground to competitors as it grows. So, if MAST is implemented for both BTC and LTC, it could potentially help the cryptocurrencies to stay very competitive and to increase the odds of controlling larger portions of the cryptocurrency market. Because MAST is geared towards easier and more private smart contracts, it is possible that MAST implementation could go a long way toward increasing business use for these cryptocurrencies. This is especially true because standard contracts can be very tedious for businesses to set up. So, if BTC or LTC-based smart contracts can be used to replace some standard contracts for businesses, then it can make BTC and/or LTC more appealing to businesses. If more companies start using BTC or LTC smart contracts because MAST makes them easier and more efficient, then it could help to drive up the price of BTC and LTC. So, essentially, it is possible that MAST could eventually lead to a boost in price for BTC and LTC, and increase the overall amount of people who use smart contracts for business or personal arrangements. As of the current date (12/14/17), MASTs have not yet been added to the Bitcoin or Litecoin protocols. However, many people think that it will be implemented this year. It can take time for changes to be made to either protocol because there is often fierce opposition. 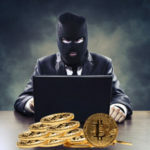 Many people fear any sort of change to the Bitcoin protocol because the current Bitcoin structure has proven itself to be extremely effective in the roughly nine years since its inception. If it does go through, then the greater smart contract flexibility would allow people to create more advanced smart contracts For example, people would be able to create smart contracts where only one of a certain number of things has to happen in order for the smart contract to be approved. For example, with MAST, a smart contract could hypothetically be approved if a certain amount of time passes, if two users approve it, etc. This kind of flexibility could open up many different opportunities for anyone who wants to use Bitcoin or Litecoin to create financial arrangements. It is possible that in the future, if MASTs go through, people could even use smart contracts to help execute their last wishes for their Bitcoin or Litecoin after they die. In order for MASTs to go through on the Bitcoin network, it would require a consensus from a majority of people in the Bitcoin community. This is because Bitcoin is not run by one person, or by one company who has the authority to make executive decisions. Instead, Bitcoin is run more like a democracy, and changes are only enacted when enough favorable votes have been accumulated. This is yet to occur. However, there seems to be a lot of interest in increased scalability, better smart contracts, and increased privacy, so it is definitely possible that MASTs could go through on the Bitcoin network in the near future. Although the Litecoin community may not be as extensive and as fiery as the Bitcoin community is, it can still be difficult to get major protocol changes to be approved. So, it is unclear whether or not MASTs will go through for Litecoin either. However, if either of these two cryptocurrency communities does decide to move forward with MASTs, and if this change ends up being a positive one, then it could lead the other one to also adopt MASTs. Although the underlying technology and coding involved with the Bitcoin and Litecoin protocols is very strong, that doesn’t mean that it is necessarily perfect. Massive demand for both of these cryptocurrencies is causing many people to question whether or not the Bitcoin and Litecoin protocols can be improved to make them better able to handle incredibly high levels of use. On December 10th, 2017 Bitcoin futures went live on the CBOE. This could potentially open the door to bring a whole new level of interest in Bitcoin from wall street, and from institutional investors. Higher levels of interest could potentially clog the Bitcoin blockchain up even more, resulting in an increased need for better scaling. So, Bitcoin futures could potentially drive the need for MASTs even more. In fact, if the increased interest levels of interest slow down block times for Bitcoin, then this need could become relatively urgent. Should Bitcoin fail to keep block formation times down, then it could lose some market share to alt coins. As a matter of fact, a number of altcoins (including Litecoin) have been surging since Bitcoin futures went live. Ethereum and Ripple are two other altcoins that have seen major gains since Bitcoin futures became available on the CBOE. However, a large part of the recent surge in alt coins is most like due to the fact that Bitcoin futures are simply shining a light on the entire cryptocurrency market at large, and helping to drive interest. Many believe that Merklized Abstract Syntax Trees are a good idea because they combine two ideas which are already great on their own: Merkle Trees and pay to script hashing. So, if they are approved, there is a very good chance, that they could actually improve the Bitcoin and Litecoin networks. However, regardless of whether or not MASTs are approved and put into place, they are just one of many proposals that will likely be put forth to improve the protocols for Bitcoin and Litecoin in the coming decades. In a few years’ time the underlying technology for cryptocurrencies could look dramatically different than it does today. Extreme volatility and scaling appear to be problems for a number of different cryptocurrencies, so future improvement proposals and changes could have to do with these issues. But, due to the ever increasing popularity of cryptocurrencies in general, it is likely that all of these issues will be worked out. This will be especially true if cryptocurrencies begin to compete with major fiat currencies such as the dollar and the euro. Only time will tell whether or not MASTs will go through and whether or not other similar changes will be added to the Bitcoin and Litecoin protocols.